Home » Articles » 143. 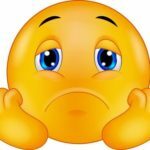 Remove Disappointment from Your Heart! ← 142. What Can You Do for the Government? 143. Remove Disappointment from Your Heart! If you are full of expectation as a child, but it doesn’t turn out, it’s a great disappointment. You look forward to something and then it’s taken away from you. Your heart is open through joy and filled with expectation, but then come words that give a blow to your heart. And you have to be understanding about it as well in spite of being a child. ‘You DO understand that it’s important that Mummy earns a living, don’t you?’ ‘Yes, Mummy, of course Mummy,’ and there’s no room for the pain in the child’s heart. People who have often been disappointed have pain in their hearts. They’ve gotten a cold shower every time they heard bad news, when something fun was taken away from them. The joy in their hearts has taken a beating. They are no longer capable of looking forward to something. They are no longer filled with expectancy that something great will come. No, their hearts no longer beat with expectancy. They’re still, dulled. They brace themselves, assuming that ‘it won’t be any good anyway’, ‘it won’t work out once again’, and ‘it’ll never amount to anything’. Disappointment causes, moreover, blockages in the Heart meridian (Chinese medicine), which can cause problems along this meridian’s route: from the side to the chest, under the armpit – inside the elbow – to the inside of your wrist and into your pinky. It can cause you to have heart palpitations, shoulder pain, dizziness or even chest pain. Disappointment is a feeling that shouldn’t be underestimated and deserves serious attention. If it becomes clear to you that your heart is burdened by old disappointments, you’ve already taken the first step on a good path. If you do the MIR-Method, you are helping yourself get rid of old emotions and pain. Your system lets go of it, enabling healing to take place. What was, was back then. It hurt but you no longer need to carry the pain with you. You can let go of it. The MIR-Method helps you with this by erasing the disappointments with steps 3, 4, 7 and 8 having key roles. Step 3: Detach father. Detach mother is important for loosening the cords connecting you and the person who disappointed you. That can be your father or mother, but also other men or women, boys or girls. You don’t have to remember it to detach it because it sometimes was about seemingly small events that you don’t even remember any more, but which your heart still feels. Step 4: Clear meridians. The blockages are taken away from the heart meridian, once again increasing the joy of life in your heart. You can look forward to what’s coming and be as happy – no holds barred – as a child. With step 7: Fulfill basic needs all the comfort you needed is fulfilled. When you had to show understanding as a child for the adult, you had to put your pain and grief aside. By doing the MIR-Method you now acknowledge the pain, erase the sadness and fulfill the comfort you needed. It causes your heart to relax and the palpitations to cease! People often feel themselves sigh when they do step 7. I see that as your heart’s release. 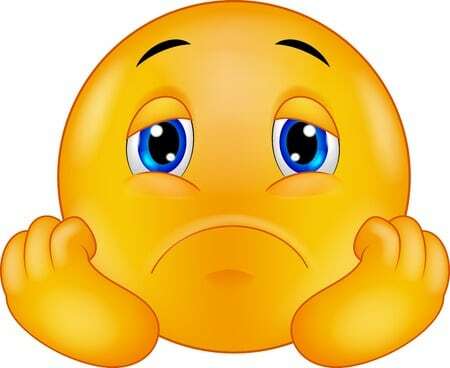 ‘A sigh gives breath to a heart full of pain.’ (Dutch saying). Step 8: Optimize chakra and aura causes your heart chakra to once again flow freely. Your ability to glow from your heart and to be happy increases each day. Even though I only mention 4 of the 9 MIR-Method steps, always do all 9! They cooperate with each other and need each other for complete self-healing. And you? Have you noticed that you are more cheerful and exuberant since doing the MIR-Method? Are you once again able to look forward to fun things? I’d love to hear about it! Please write about it below. Thank you! My wish for you is that your heart may once again be filled with over-the-top joy! P.S. You would do me a big favor to spread the MIR-Method to others by posting this article to your Facebook page or forwarding it via e-mail, Twitter or Linked-In! Use the icons on the left-hand side! Thank you! P.S. Are you not yet familiar with the MIR-Method? Please go to the homepage: www.mirmethod.com. You can watch the video there and also the instruction video. Register on the homepage to receive the newsletter and 6 weeks of coaching e-mails for extra support! 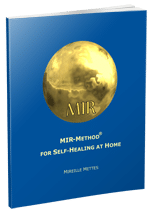 Hi Mireille I’m so happy to have found your page and have been doing the MIR-Method for just over 3 weeks now. I’ve just listened to the addiction video and wondering if it can help with OCD which is meant to be an addiction I believe. I’ve had it forever since childhood sexual abuse and have never known a life without it. However, I’m open minded and loving doing this for myself so thank you once again. Yes, good idea! You CAN use the addiction technique for OCD. I never realized it to be similar to an addiction, but it is! Thank you for asking! Hope your life will turn out relaxed and gentle again! Yes i know theres typos in my last comment. And more to the story. When I was doing the MIR-Method 5 mths ago i had c diff and thought i might die. I got worse till i stopped. I dont attribute it to MIR-Method, however. I just dont believe it works. It makes no sense, words dont teach the body. If i tell myself to fly will i sprout wings? The MIR-Method is based on findings with over 40 alternative healing methods, for example NLP – Neuro Linguistic Programming. There’s much more to the MIR-Method then you may think at first. Hope you are doing better meanwhile. Wishing you lots of strength! The jewish community in chicago is hiding my daughter and brainwashing her. The rabbis are nasty hypocrites about it, im an unconventional mother and theyre an evil beaurocracy. No amount of MIR-Method is going to help me. Ive become depressed and suicidal. You really are in a tough period of your life! Do you have any friends you can talk to? I will not say the MIR-Method can help this situation quickly, but it can support you to deal with this difficult situation. I hope you can find some support soon! Thank you Mireille, I’m about a week into it. Loving it! Will keep you posted. Thanks for keeping me posted! I am very curious what it will bring you! Good luck!